A lazy, furry cat was outside one afternoon and minding his own business. It had been a long day, and this little guy just wanted to take a nap on the porch. But just as he was about to fall asleep and doze off, a surprise visitor makes a stop. 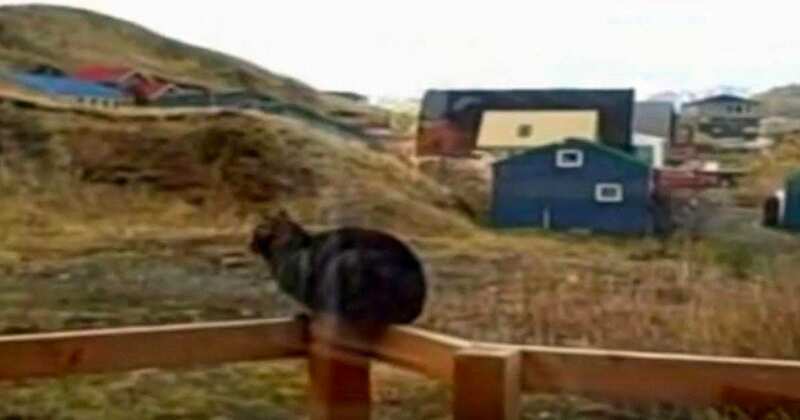 The cat does not even move or flinch when a majestic eagle flies in to pay the cat a visit. It seems like the cat is completely unimpressed by the eagle, and the two animals stare deeply at each other. As the two rest together on the porch and stare at each other with the beautiful countryside hills in the background, it’s clear that these two are forming some type of bond. The cat does not feel threatened at all by the bald eagle. Needless to say, this cat’s quiet day became much more interesting thanks to an unexpected visitor! Please SHARE this video on your Facebook wall.